NASA uzavřela smlouvu s ERT. Permalink Submitted by dodge on Mon, 11/05/2012 - 20:57. Prezentace nejlepších misí NASA na superpočítačové konferenci v Salt Lake City 10.-16. 11. 2012. Permalink Submitted by dodge on Tue, 11/06/2012 - 19:34. Permalink Submitted by alamo on Tue, 11/06/2012 - 21:52.
s vyhliadkou na obmedzenie sa na pilotované lety k ISS, a zrušenie všetkých plánov na ¾udské aktivity v hlbokom vesmíre..
Permalink Submitted by Ervé on Wed, 11/07/2012 - 06:50. Vyhrál Obama, takže NASA seškrtána (Romney by asi nebyl o moc lepší). Doufejme že nezruší JWST. Permalink Submitted by Agamemnon on Wed, 11/07/2012 - 07:46. Permalink Submitted by dodge on Wed, 11/07/2012 - 10:05. Za čtyři roky ve funkci dokázal zvýšit zadlužení ze 60% HDP na více než 110% HDP! Předání ceny National Cybersecurity Innovation Award 2012. Permalink Submitted by dodge on Wed, 11/07/2012 - 10:13. Permalink Submitted by dodge on Wed, 11/07/2012 - 10:16. Události na obloze v listopadu 2012. Permalink Submitted by Agamemnon on Wed, 11/07/2012 - 10:28. Permalink Submitted by Kratas on Wed, 11/07/2012 - 13:29. Budou radi, ze projekty ccdev atd. budou hotovy a budou schopni vynaset material a lidi na orbit. Aby jim Obama neskrtl i SLS. Permalink Submitted by dodge on Wed, 11/07/2012 - 19:03. Boeing X-48 absolvoval úspěšně 16.10.2012 100. zkušební let na Edwards Air Force Base. Z toho X-48B 92 letů a X-48C 8 letů. Permalink Submitted by dodge on Wed, 11/07/2012 - 19:08. Obama zvítězil ve volbách - NASA bude pravděpodobně pokračovat v nastoupené cestě. Sympozium o pokročilých inovativních koncepcích výzkumu, 14. Permalink Submitted by dodge on Wed, 11/07/2012 - 19:23. Sympozium o pokročilých inovativních koncepcích výzkumu, 14.-15. 11. 2012 v Crowne Plaza Hotel in Hampton, Va.
Zahájena registrace na 20. ročník NASA Great Moonbuggy Race. Permalink Submitted by dodge on Wed, 11/07/2012 - 20:58. Permalink Submitted by dodge on Thu, 11/08/2012 - 08:50. Slavnostní přejmenování sondy Twin Earth Radiation Belt Spacecraft na Radiation Belt Storm Probes (RBSP). Permalink Submitted by dodge on Thu, 11/08/2012 - 21:34. NASA a ESA použila experimentální verzi meziplanetárního internetu k řízení zařízení na ISS. Permalink Submitted by dodge on Thu, 11/08/2012 - 21:36. NASA vybrala 39 malých firem do 2. fáze výběru v rámci programu Small Business Innovation Research (SBIR). Permalink Submitted by dodge on Fri, 11/09/2012 - 16:51. NASA vybrala návrh Smithsonian Astrophysical Observatory in Cambridge, Mass., na vývoj přístrojů pro Tropospheric Emissions: Monitoring of Pollution (TEMPO), za účelem monitorování znečištění ovzduší nad Severní Amerikou, s termínem dokončení v roce 2017 za cenu do 90 mil.$. Permalink Submitted by dodge on Fri, 11/09/2012 - 20:46. Camilla - skvělé mluvící kuře. Permalink Submitted by dodge on Fri, 11/09/2012 - 21:41. NASA přejmenovala Radiation Belt Mission Probes (RBSP) na Van Allen Probes na počest zesnulého Jamese van Allena. Permalink Submitted by dodge on Sat, 11/10/2012 - 07:18. Permalink Submitted by dodge on Sat, 11/10/2012 - 07:50. Článek k přejmenování Radiation Belt Storm Probes (RBSP) na počest van Allena. Permalink Submitted by dodge on Tue, 11/13/2012 - 18:57. Technologické dny v Clevelandu pro veřejnost 28.-30.11. Permalink Submitted by dodge on Wed, 11/14/2012 - 17:39. NASA a Americká geofyzikální unie pořádá konferenci 4.12.2012 v San Francisku. Projekt NASA PhoneSat získal cenu Popular Science\'s 2012. Permalink Submitted by dodge on Wed, 11/14/2012 - 20:33. Studentské týmy ke stavbě a vypouštění raket. http://www. Permalink Submitted by dodge on Thu, 11/15/2012 - 20:38. Studentské týmy ke stavbě a vypouštění raket. Permalink Submitted by dodge on Fri, 11/16/2012 - 16:14. NASA zahajuje hledání nejvzdálenější galaxie pomocí HST a Spitzeru. Více než 9500 studentů se zúčastnilo v rámci Student Spaceflight Experimenty programu (SSEP) živé videokonference s ISS velitelkou Sunitou Williamsovou a letovým inženýrem Kevinem Fordem. Permalink Submitted by dodge on Sat, 11/17/2012 - 08:40. Změny ve vedení Glenn Research Center v Clevelandu a Johnson Space Center v Houstonu. Permalink Submitted by dodge on Sat, 11/17/2012 - 09:47. Tento týden v NASA, souhrn událostí tohoto týdne. Permalink Submitted by dodge on Tue, 11/20/2012 - 17:25. NASA vyhlásila vzdělávací a výzkumný program pro střední školy a university. NASA prodloužila smlouvu s MEI Technologies, Inc., z Houstonu. Plány NASA na lety do hlubokého kosmického prostoru, na odvrácenou stranu Měsíce a na Mars. Permalink Submitted by dodge on Thu, 11/22/2012 - 17:14. Rozhovor s Lesou Roeovou, ředitelkou Langley Research Center. NASA vybrala Brandan Enterprises, Inc. (BEI) z Knoxvillu, Tenn., jako dodavatele podpůrných služeb. Permalink Submitted by dodge on Fri, 11/23/2012 - 22:25. Dodge, prosim te, nespamuj forum. Permalink Submitted by -=RYS=- on Sat, 11/24/2012 - 07:12. Permalink Submitted by -=RYS=- on Sat, 11/24/2012 - 16:28. Mám dotaz. Novinky z kosmonatiky píšou že Čína zkoumá všechny planety naši sluneční soustavy, budou tyto získané informace k dispozici NASA a nebo si je nechají jen pro sebe, za velkou čínskou zdí. Permalink Submitted by Agamemnon on Sat, 11/24/2012 - 16:35. Permalink Submitted by HonzaVacek on Sat, 11/24/2012 - 16:45.
http://novinkykosmonautiky.blogspot.cz/ se záměnou budoucího času za přítomný. Permalink Submitted by HonzaVacek on Sat, 11/24/2012 - 20:10. Já myslím veškeré výsledky jejich výzkumu, zda se bude jednat o kooperaci s vědeckou obcí či si to nechají v zemi středu. Permalink Submitted by jamsed on Sat, 11/24/2012 - 20:18. Permalink Submitted by jamsed on Sat, 11/24/2012 - 21:03. Je vhodné zjistit co myslel významem slova brzy - prostě takovýmto určením času lze mluvit o dosti věcech. Permalink Submitted by Agamemnon on Sat, 11/24/2012 - 21:23. Permalink Submitted by dodge on Wed, 12/26/2012 - 18:20. Páté vypuštění Long Duration Balloon (LDB) 25.12.2012. Permalink Submitted by Agamemnon on Sat, 12/29/2012 - 21:13. Permalink Submitted by Alex on Thu, 01/17/2013 - 08:10. Existuje aj téma \"Úpadok NASA\" ale dal som to tu. Permalink Submitted by alamo on Mon, 01/28/2013 - 21:24.
dalo by sa to poda aj tak, že momentálne sa nasa, potáca bez akéhoko¾vek reálneho cie¾a aj vedenia..
Permalink Submitted by yamato on Mon, 01/28/2013 - 21:33. Permalink Submitted by alamo on Mon, 01/28/2013 - 21:43.
len ako dlho to vydrží? navrhnuté riešenia sú v podstate hm.. \"staronové\"
Option 1: \"Institute an aggressive restructuring program to reduce infrastructure and personnel costs to improve efficiency.\"
Option 2: \"Engage in and commit for the long term to more cost-sharing partnerships with other US government agencies, private sector industries, and international partners.\"
Option 3: \"Increase the size of the NASA budget.\"
Option 4: \"Reduce considerably the size and scope of elements of NASA\'s current program portfolio to better fit the current and anticipated budget profile. 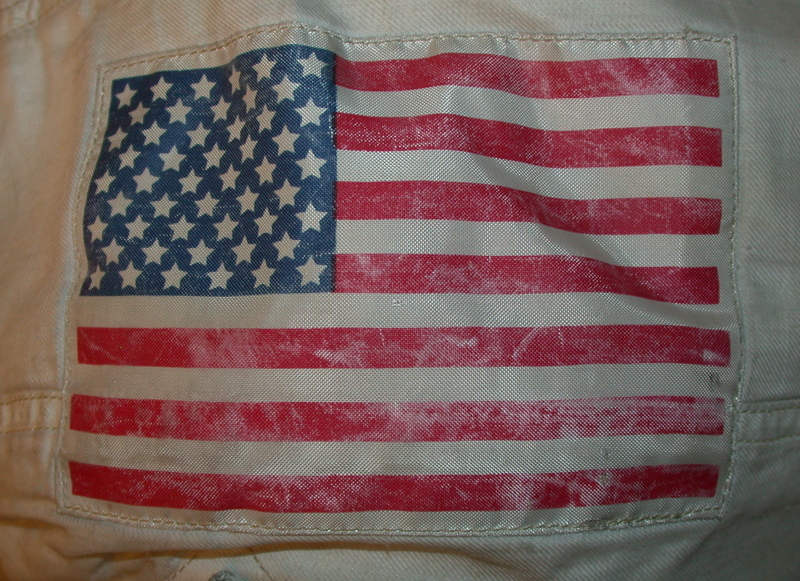 This would require reducing or eliminating one of more of NASA\'s current portfolio elements (human exploration, Earth and space sciences, aeronautics, and space technology) in favor of the remaining elements.\"
Permalink Submitted by Agamemnon on Tue, 01/29/2013 - 07:26. Permalink Submitted by pospa on Wed, 03/27/2013 - 17:03. Technet 26.3.2013 : \"V NASA řádil špion, zatkli ho s jednosměrnou letenkou do Číny v kapse\"
Permalink Submitted by Agamemnon on Wed, 03/27/2013 - 17:24. Permalink Submitted by dodge on Tue, 04/16/2013 - 18:30. EDWARDS AIR FORCE BASE, Calif., April 12, 2013 /PRNewswire/ -- The Boeing (NYSE: BA) X-48C research aircraft flew for the 30th and final time April 9, marking the successful completion of an eight-month flight-test program to explore and further validate the aerodynamic characteristics of the Blended Wing Body design concept. All 30 flights were conducted at NASA\'s Dryden Flight Research Center. The X-48C typically flew for approximately 30 minutes on most flights, reaching speeds of up to 140 miles per hour and attaining an altitude of about 10,000 feet. X-48C flight testing began Aug. 7, 2012. 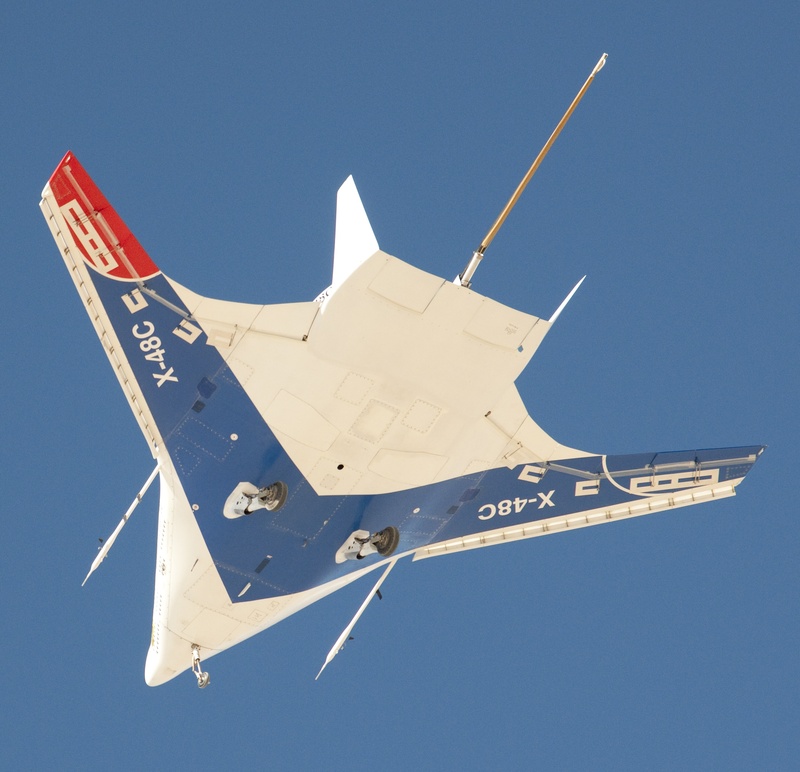 \"Working closely with NASA, we have been privileged throughout X-48 flight-testing to explore and validate what we believe is a significant breakthrough in the science of flight – and it has been a tremendous success for Boeing,\" said Bob Liebeck, a Boeing Senior Technical Fellow and the company\'s BWB program manager. \"We have shown that a BWB aircraft, which offers the tremendous promise of significantly greater fuel efficiency and reduced noise, can be controlled as effectively as a conventional tube-and-wing aircraft during takeoffs, landings and other low-speed segments of the flight regime,\" Liebeck said. The X-48C, designed by Boeing Research & Technology, built by Cranfield Aerospace Ltd., and flown in partnership with NASA and the U.S. Air Force Research Laboratory, is a scale model of a heavy-lift, subsonic vehicle that forgoes the conventional tube-and-wing airplane design in favor of a triangular tailless aircraft that effectively merges the vehicle\'s wing and body. Boeing believes the concept could be developed in the next 15 to 20 years for military applications such as aerial refueling and cargo missions. The X-48C is a modified version of the X-48B aircraft, which flew 92 times at NASA Dryden between 2007 and 2010. The X-48C is configured with two 89-pound thrust turbojet engines, instead of three 50-pound thrust engines on the B-model. In addition, the wingtip winglets were relocated inboard next to the engines on the C-model and the aft deck was extended about 2 feet at the rear. \"With the completion of X-48C flight testing, we have accomplished our goal of establishing a ground-to-flight database, and proving the low-speed controllability of concept throughout the flight envelope,\" said Fay Collier, director of NASA\'s Environmentally Responsible Aviation (ERA) project. \"Both very quiet and efficient, the concept has shown promise for meeting all of NASA\'s environmental goals for future aircraft designs.\"
Boeing and NASA\'s Aeronautics Research Mission Directorate funded the X-48 technology demonstration research. The effort was aligned with NASA\'s ERA project, which has the goals to reduce fuel burn, emissions and noise of future aircraft. Boeing and NASA will continue to develop Blended Wing Body technology, with the aspiration of developing a larger-scale, transonic BWB demonstrator in the future.